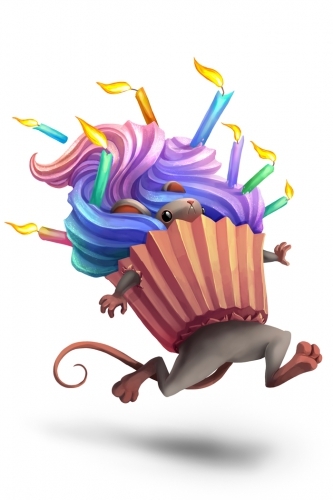 The Cupcake Camo is an Event Mouse found during the annual MouseHunt Birthday event. Required Power Types: All Types Other Requirements: ?? Cheese: See current MouseHunt Birthday location Charm: ?? Attempting to be clever, this mouse has disguised himself as a coveted rainbow cupcake. Hoping to be able to get close and steal some easy cupcakes, he has quickly discovered that this may not have been the best idea as both mice and hunters are now after him! Information on how to locate and capture the Cupcake Camo Mouse can be found on the current MouseHunt Birthday location page. 3 March 2016: The Cupcake Camo was released for MouseHunt's Eighth Birthday. This page was last edited on 9 April 2017, at 00:21.